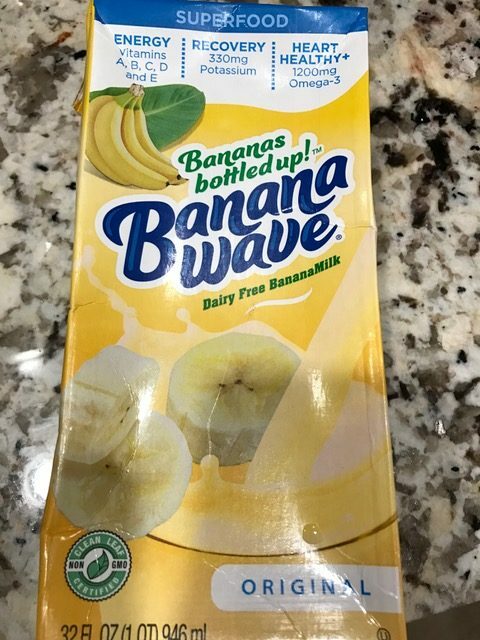 An alternative for those bored of soy, almond, or can’t tolerate regular milk, in comes BANANA MILK!!! I love the concept of this, every now and then when I make oatmeal or something, I like the flavor of banana but I HATE warm bananas– changes the consistency and bleh — but something like this would come in perfect. 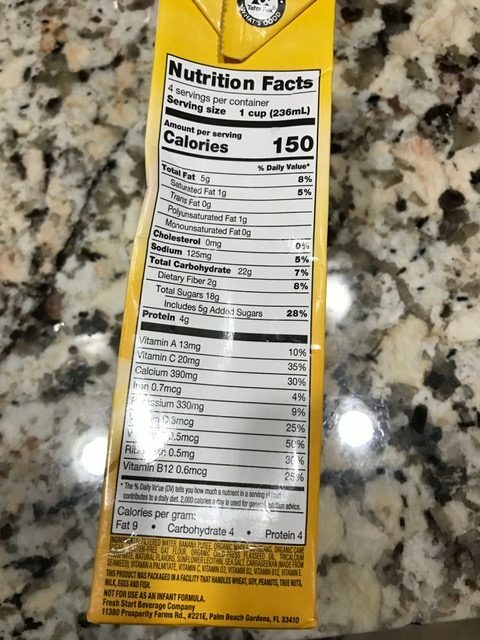 Banana Wave is made with actual bananas, so none of that artificial flavor banana stuff. That also means you get the added benefit of Potassium with your banana milk, a pretty important mineral to prevent muscle cramping and maintain proper conduction of your heart, etc. This milk is vegan, kosher, gluten free, and has no artificial colors or flavors. I tried it 2 ways– in my morning coffee in the place of milk, and with my oatmeal (again, in place of milk). The milk itself is mild in flavor, and has the consistency of a thicker almond milk. In coffee, it was okay. I usually use whole milk in my coffee, because I like it light and sweet, and hate the bitterness of a cup of Joe. The flavor is pretty mild so a little bit of banana flavor came through but unfortunately the coffee flavor still predominated and the bitterness remained. In the overnight oats, it provided mild sweetness and banana flavor, which went fantastic with peanut butter. Seriously, what a great find. I used it with overnight oats– so I didn’t actually “cook” the milk– but put 1 cup of Banana Wave with 1/2 cup of oats and 2 Tbsp of peanut butter in a container and let it sit in the fridge overnight, and then just put in microwave for 30 seconds in the morning to take the chill out and melt the peanut butter. Delish!! However, a good alternative to almond/soy/cow’s milk and good to spice it up every now and then. But watch your sugars! DISCLAIMER: I received this product for free from the company. This is an unbiased review.